Robert Mueller’s “rigged witch hunt” has reeled in another Big One. Paul Manafort, the former Donald Trump 2016 presidential campaign chairman — who’s already facing a lengthy prison term because of a prior felony conviction — is going to plead guilty to another felony charge … reportedly. Mueller, the special counsel assigned to examine the “Russia thing,” has reportedly worked out a deal with Manafort, who’ll plead guilty to avoid another costly trial. The Russia thing, of course, centers on allegations that the Trump campaign “colluded” with Russians who attacked our electoral system in 2016. Is there going to be a flip? Here’s the big question that is slated to get answered sometime Friday: Is the former Trump campaign boss going to cooperate with Mueller? Hmm. I don’t know what he’ll do. Mueller ain’t talking, which is his M.O., unlike the president, who likes to blab his brains out via Twitter at every opportunity. Trump no doubt will fire off yet another “witch hunt” allegation, which of course is nonsense. It would be laughable if the stakes weren’t so high. The president’s political future keeps looking a bit murkier with every guilty plea, every former aide who rolls over. However murky the future appears to be getting, it doesn’t yet have much form. 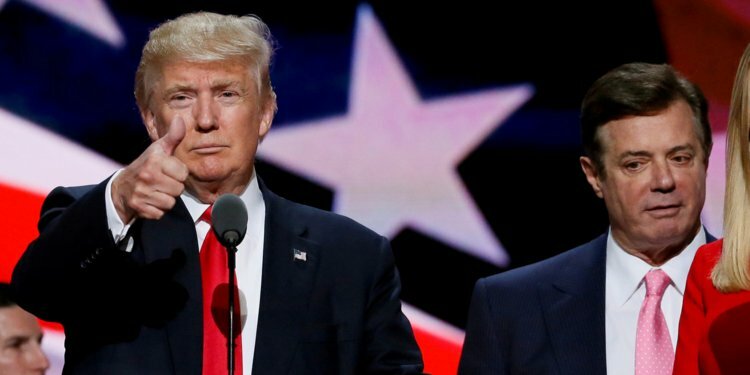 Even with the news that Paul Manafort is getting ready to plead guilty, we cannot yet know the impact it will have on the future of the 45th president of the United States. As for the next big development, I’ll await the news after the sun comes up in the morning.